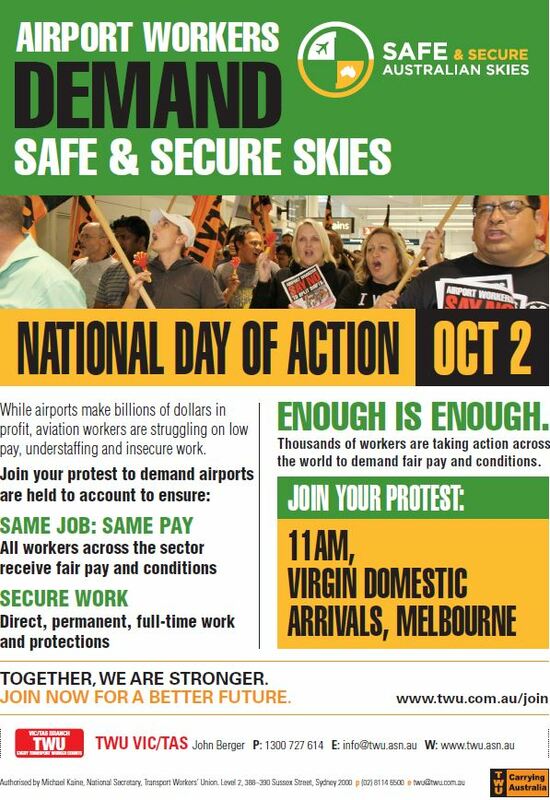 Aviation workers will protest poor pay and conditions next week as a report shows low standards are impacting on aviation safety and security. Protests are taking place across Australia as part of a global day of action by airport workers. Fire up and force change! Protesters will demand an end to forced part-time hours that sees workers rostered to work as few as three hours a day and just 60 hours a month. Coupled with this, low pay and split shifts are forcing some workers to sleep at airports.